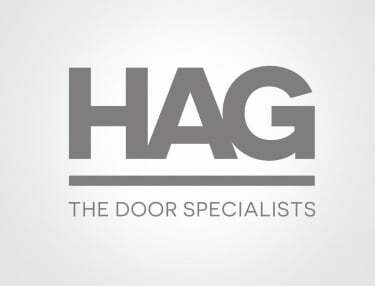 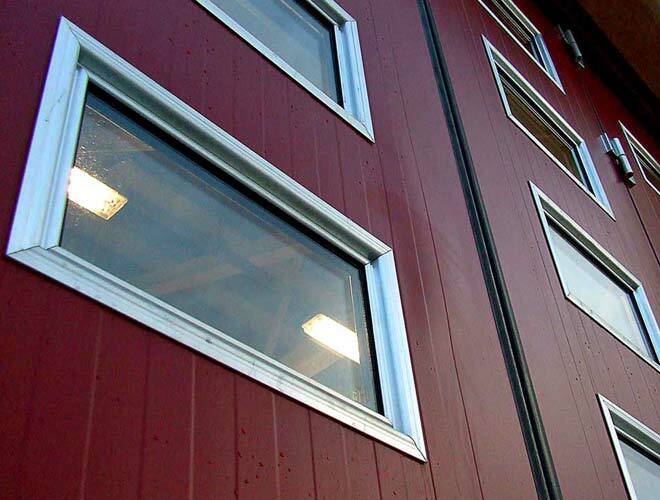 HAG Industrial Doors are tailored to your site requirements and are custom made to exact specifications. 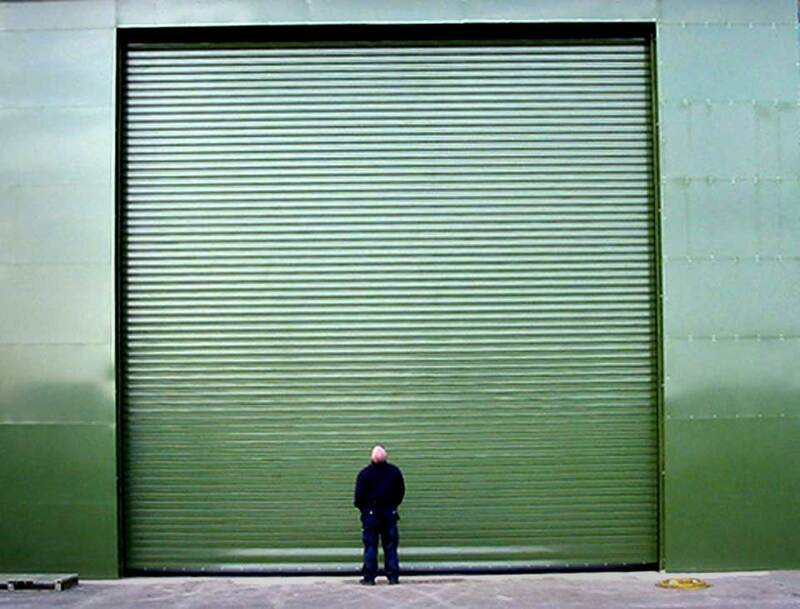 Industrial doors can include thermal insulation, safety mechanisms and high security upon request. 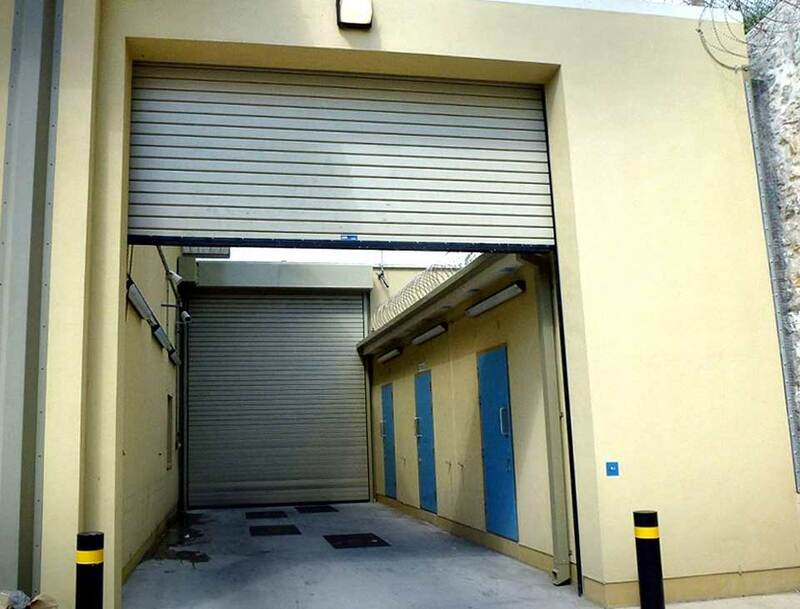 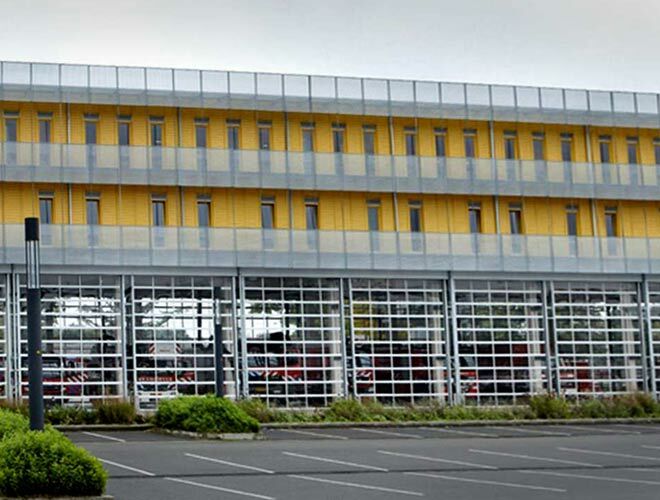 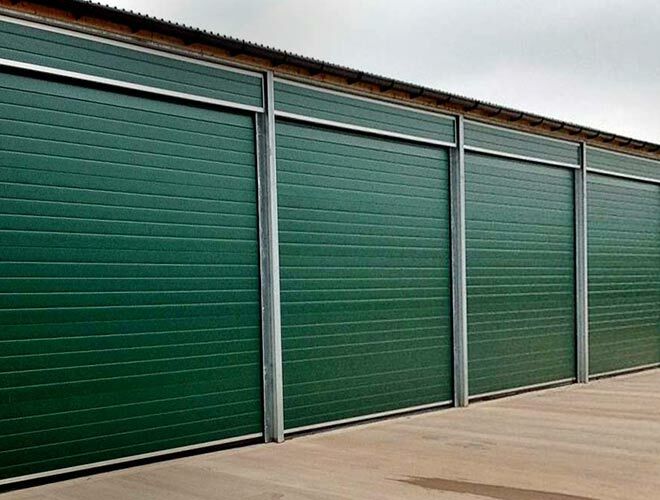 The range includes industrial roller shutters, industrial overhead sectional doors, bi folding industrial doors and horizontal sliding folding doors. 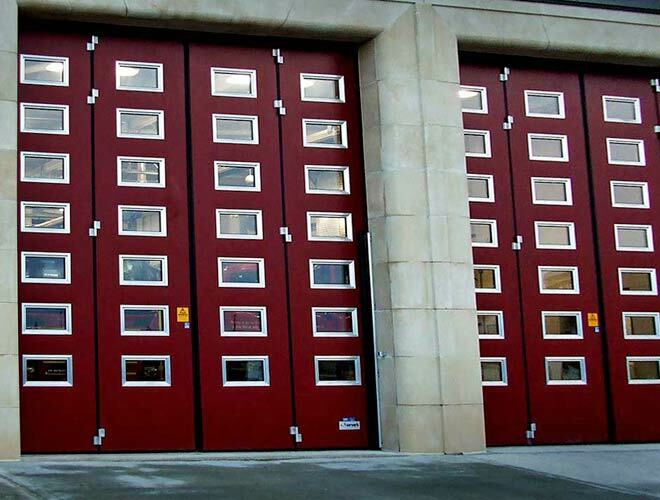 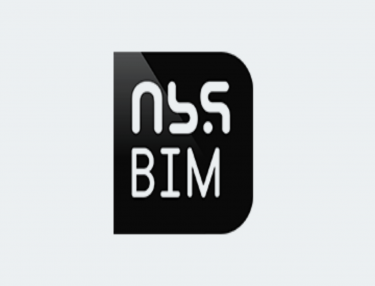 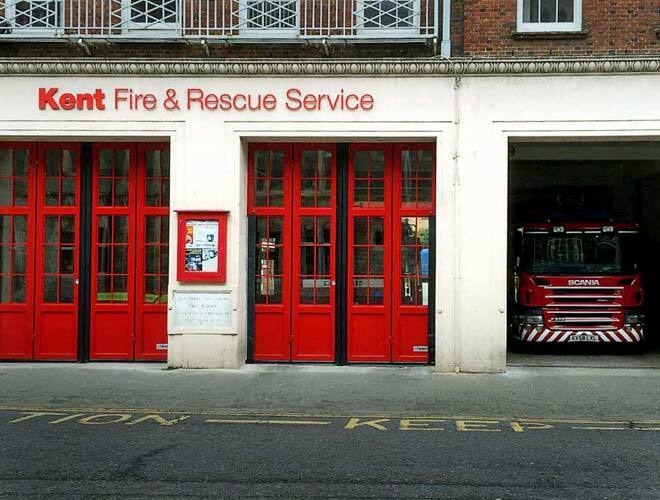 There’s a range of operations and finishes available with all of our doors. 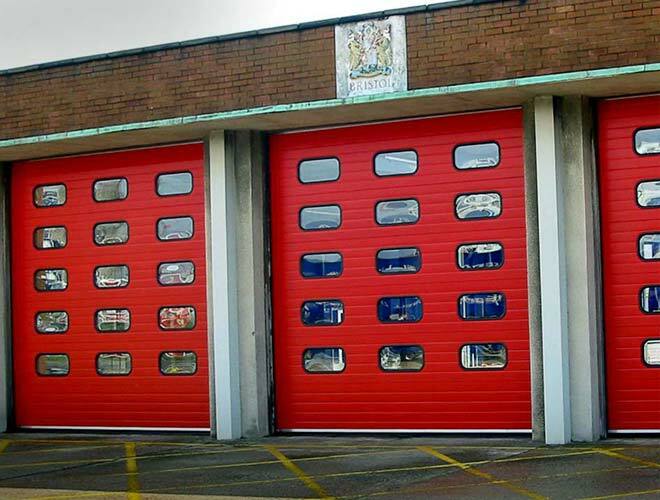 TheA rmourguard Industrial Door F1 deliver high levels of security and thermal protection with the twin skin steel injected with CFC free foam insulation. 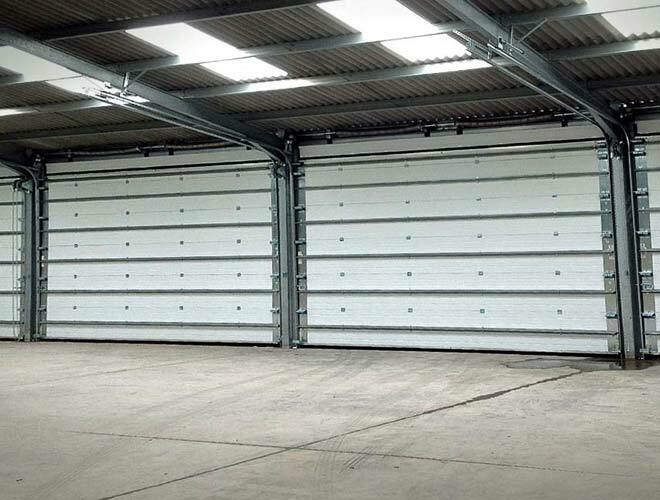 F1 insulated industrial doors have a thermal value of 0.733 W/m2K (through centre of lath) and an acoustic value of 28dB reduction (At 1kHz). 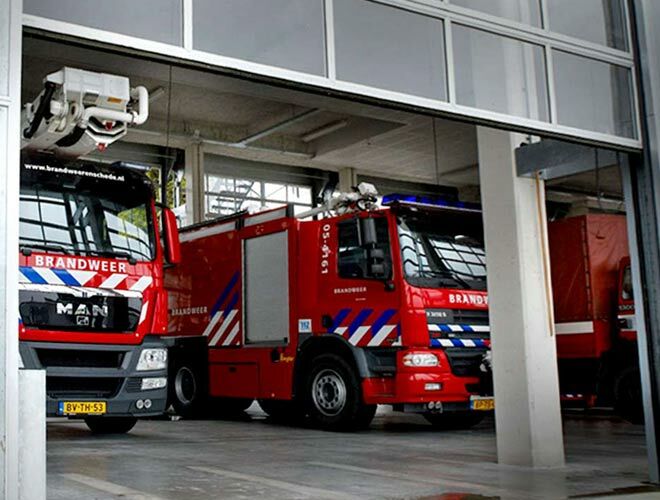 Meets BS EN 13241-1:2003 (class 5). 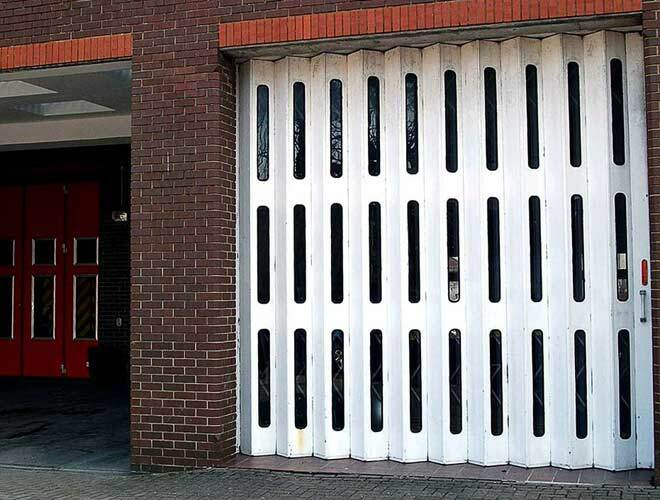 Recommended maximum width up to 12,000mm. 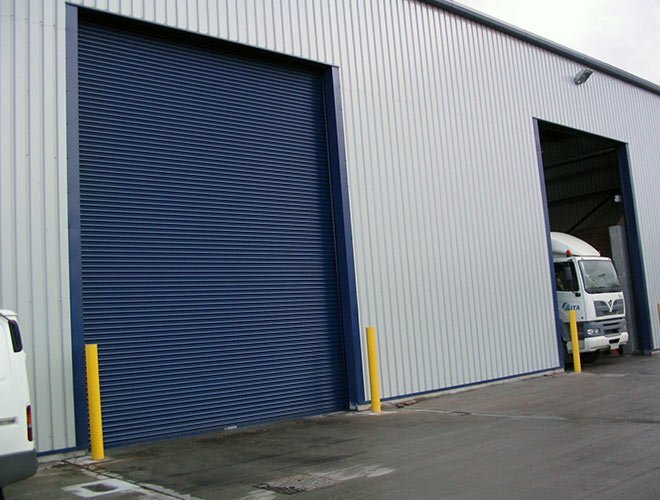 A bi-folding industrial door providing a high level of insulation and security, with the option of insulated double glazed windows with the panels. 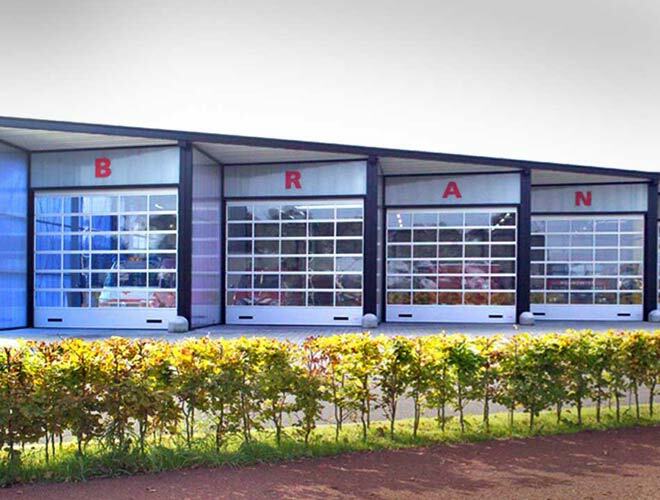 Crafted from robust and galvanised steel with inserted CFC-free polyurethane foam. 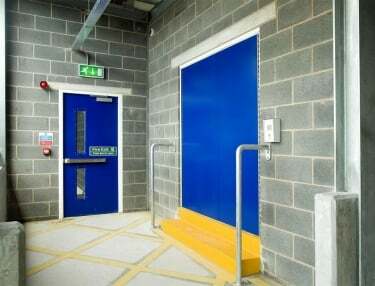 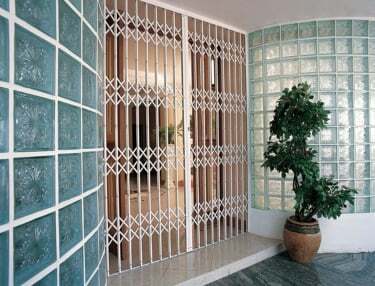 It is the sturdiest and most resilient industrial door system. 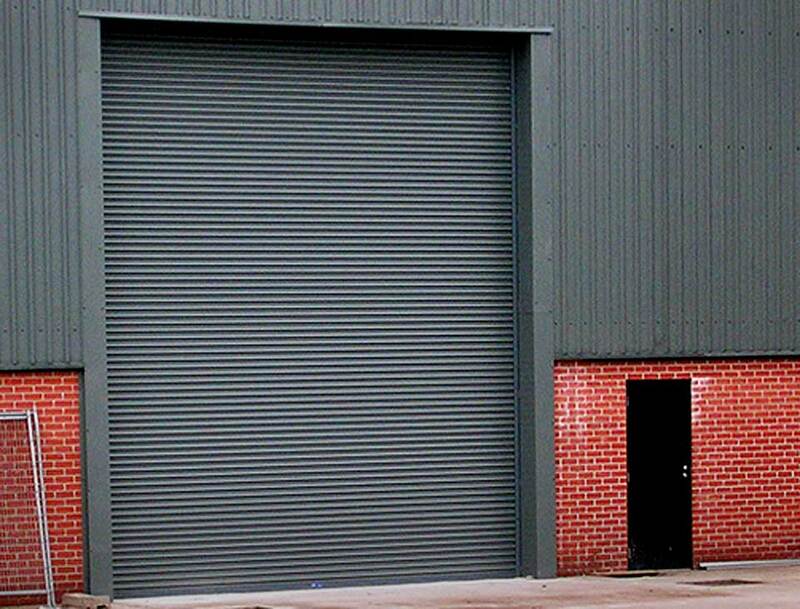 Recommended maximum width up to 14,000mm. 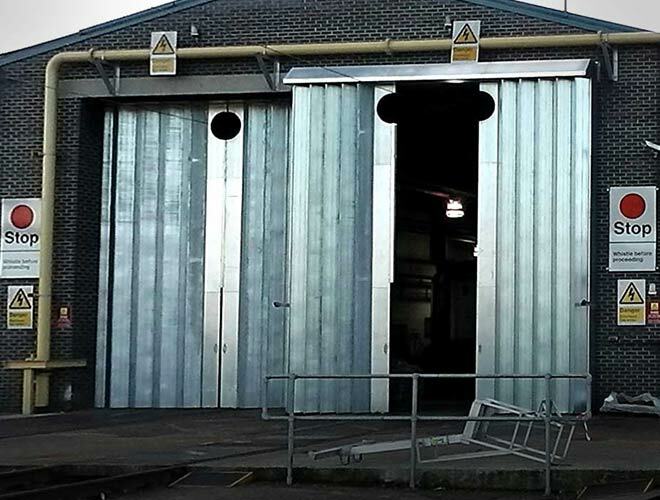 An industrial overhead sectional door providing heat and sound insulation. 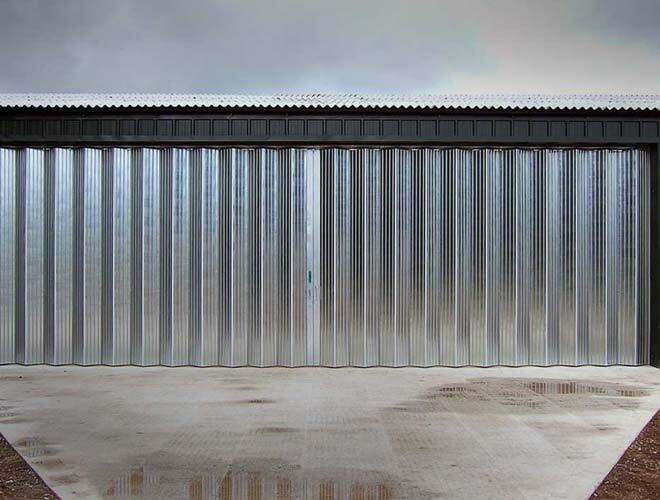 Double skinned, PU-foamed steel sections, with an interlocking hinged joint offering the best weather protection. 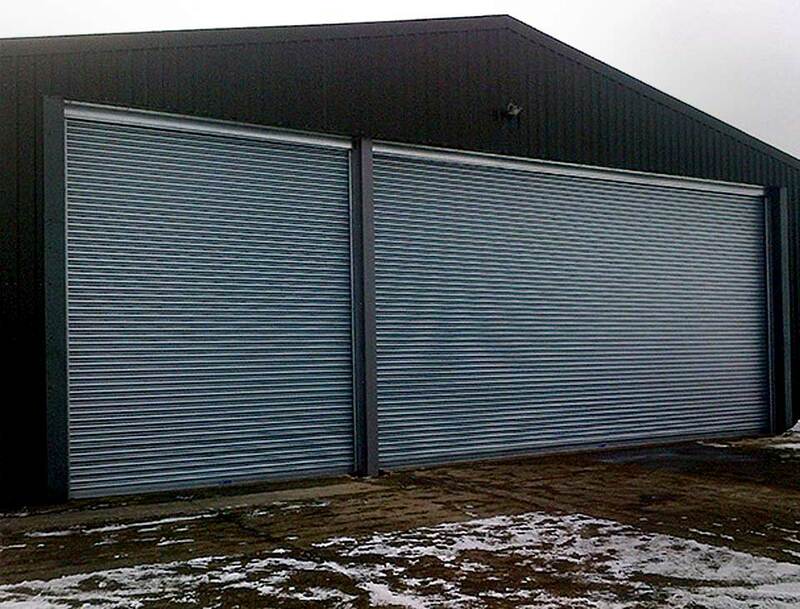 These industrial roller shutter doors can be manual or electrical operation. 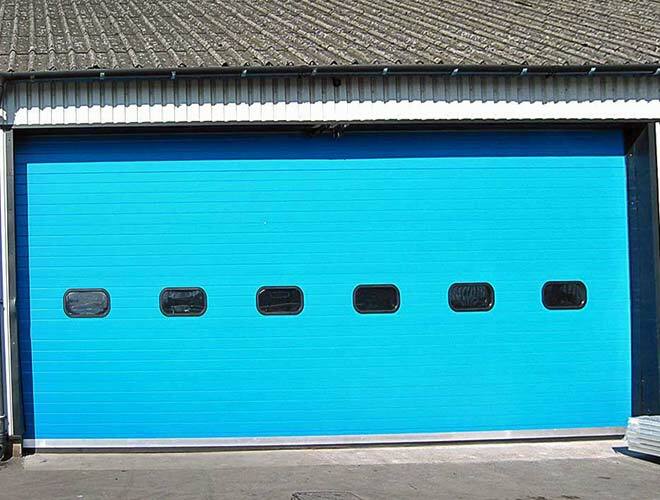 Powder coating finish in a range of colours. 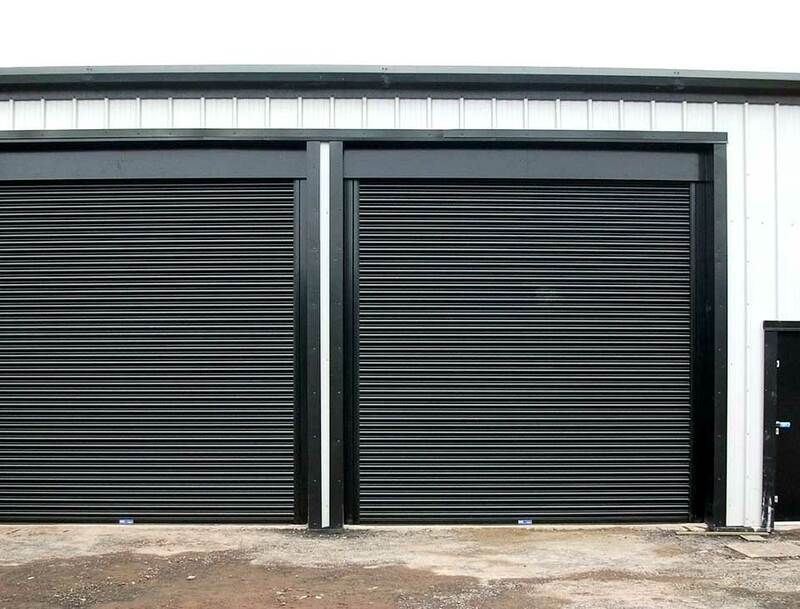 Recommended maximum width up to 10,000mm. 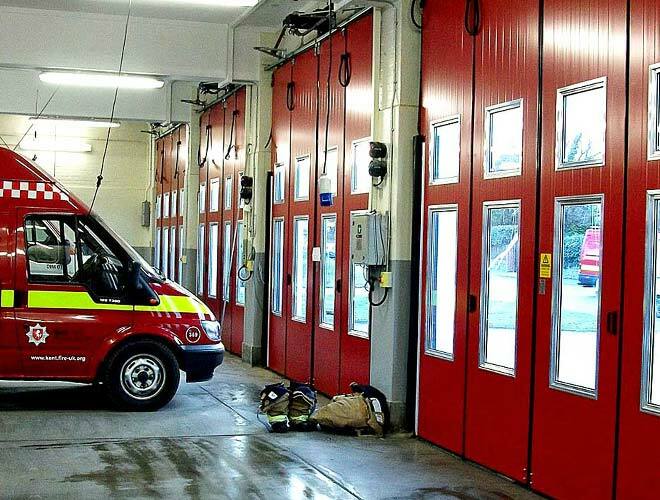 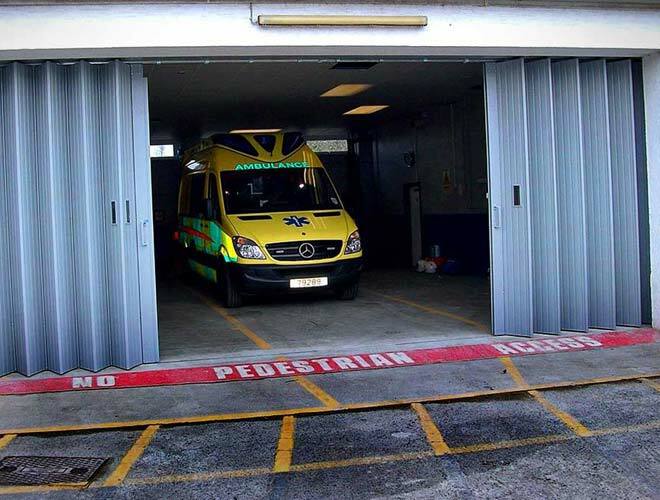 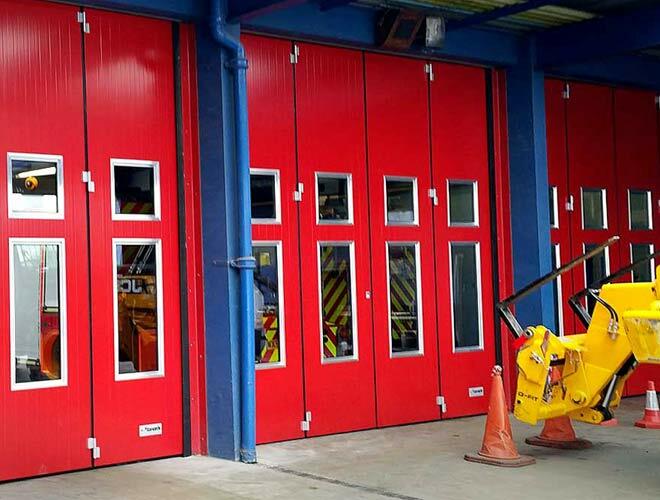 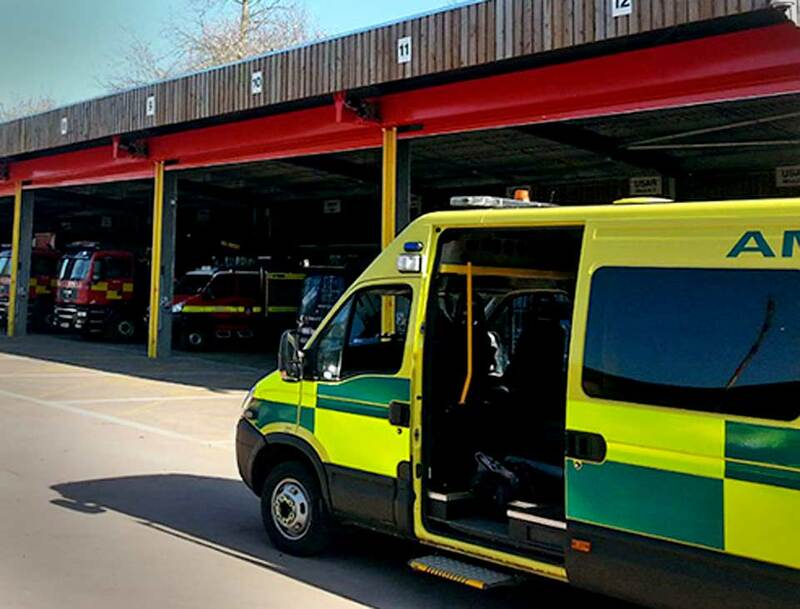 HAG industrial doors have been installed for a wide variety of applications from industrial and retail units to fire stations and airports. 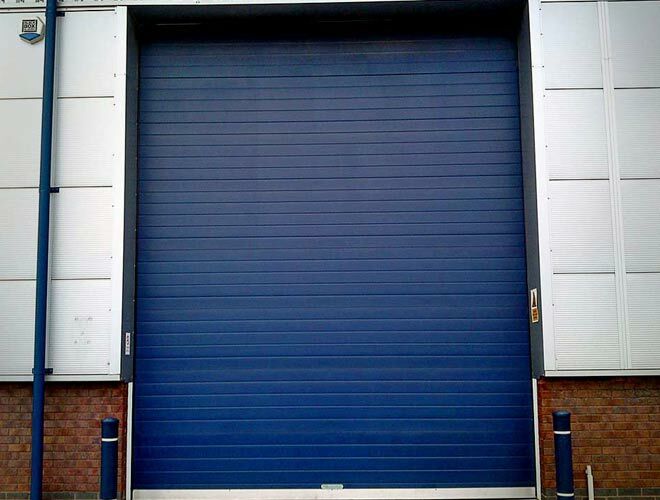 These doors are typically finished with Galvanised steel as standard but these industrial doors are also available in a range of polyester powder coat colours.